Archives for February 2019 | Blog: Rituals & Spells: Love, Protection and Health! to get rid of negative energies. 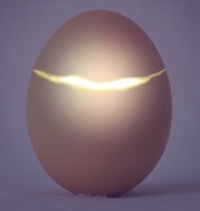 The symbol of egg represents a mysterious essence of life and regeneration. Here you will use it as a way of casting away bad luck or bad things around you. An egg is a living thing and it has power to bring out the evil energy from person and absorb it.